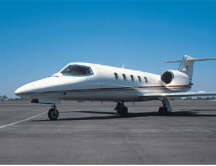 Want to know what the cost would be for your own private jet for hire or rent. Below offers examples of approximate jet charter quotes based on different aircraft due to passenger numbers and also the distance you wish to fly. Our operations team will work on your specific requirements to meet the needs you require and expect - Not only are we conscious that you wish to travel stress free, but we are also keen to work within a budget that suits your needs, and if have prices to beat then let us know!